This post was originally published in February of 2014. On March 11, 2011 a horrific massacre took place in Itamar, Israel, a small town of 1800 people in the West Bank. Five members of a Jewish family, the Fogel family, were brutally murdered by the Palestinian terrorist group, Al-Aqsa Martyr's Brigade of Imad Mughniyeh [as reported by the Jerusalem Post] in their home while they were sleeping in their beds. While many condemned the terrorist attack, it was sickeningly praised by the Palestinian Islamic Jihad. The names of the five family members murdered in the Itamar terror attack were cleared for publication Saturday evening: [Father] Udi Fogel, 36, [and mother] Ruth Fogel, 35, and their children Yoav, 11, Elad, 4, and three-month-old Hadas. The three siblings who survived the attack are Tamar, 12, Roi, 8, and two-year-old Yishai. They are staying with their grandparents at this time. The funeral for the victims will be held Sunday in Jerusalem at 1:30 pm. Please read the entire article from Y-Net News here. All of Israel and every decent human being around the world were sickened by this inhumane terrorist attack against an innocent family. But Israel has remained strong and will never cower to such terrorism. The mayor of Itamar at the time of the massacre was Rabbi Moshe Goldsmith. Mayor Goldsmith and his wife Leah have been leaders in making sure that the Fogel family will always be remembered and that the small town of Itamar will remain strong and never forgotten. 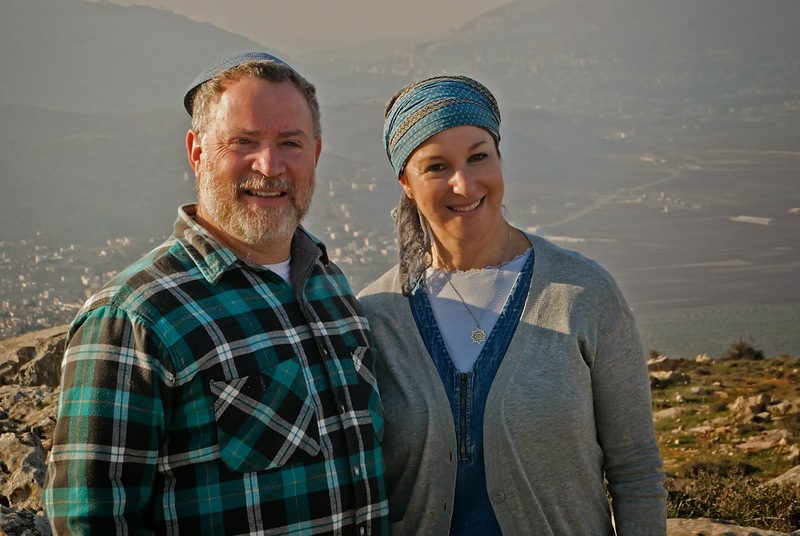 Ever since the terror attack on their town, Moshe and Leah have tried to raise awareness of the Itamar massacre and how their town is remaining a beacon of strength in Israel. They want everyone to know that Itamar is alive, well, and prospering and that they welcome all to visit them. Mrs. Leah Goldsmith says: "I think it is important to emphasize that DESPITE the trials and terror Israel is the seat of vitality for the world and the land has come to life as we have testimony to that in our years there"
In promoting Itamar, Mayor Goldsmith has started this web site: Tour Itamar, Support Israel Please everyone check it out. Also, everyone please check out their site: The Friends of Itamar which they describe as "dedicated to the Kedoshim of Itamar that gave their lives for the land of Israel." I hope every friend of this blog and supporter of Israel checks out the Goldsmith's web sites. God Bless the United States of America. God Bless Israel. Thank you for keeping there memory alive.